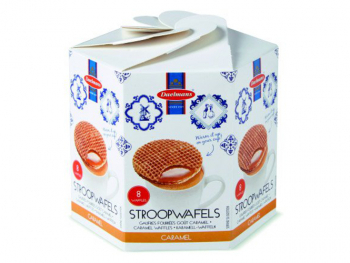 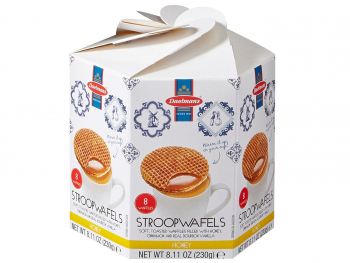 These mini honey stroopwafels are a great treat with a cup of coffee or a cup of tea. 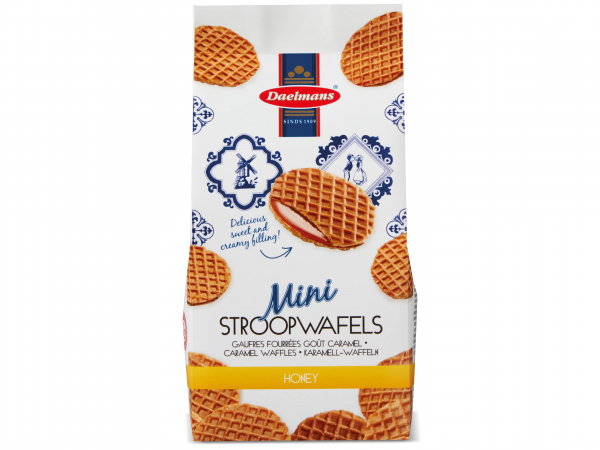 They’re available per cello bag or in a case of 12 cello bags, you can pick whichever you like in the “Choose packaging” dropdown. 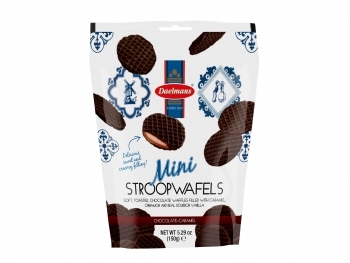 The same cello bags are also available with chocolate mini stroopwafels and with caramel mini stroopwafels. 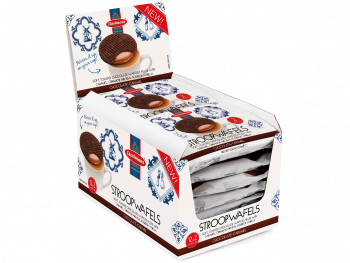 Each cello bag contains approximately 25 mini stroopwafels, m making it perfect to pass around during a party or when friends or family are over. Wheat Flour, Glucose Syrup, Sugar, Butter, Palm Fat, Honey, Invert Sugar, Canola Oil, Soy Flour, Dextrin (Wheat), Salt, Emulsifier (Soy Lecithin, Mono- and Diglycerides of Fatty Acids), Leavening (Baking Soda), Spice (Cinnamon), Acidity Regulator (Citric Acid), Vanilla Pods.